Daniel Johns Andrew Denton interview: Singer opens up about struggles. In his first interview in a decade, Daniel Johns finally explains his darkest years. 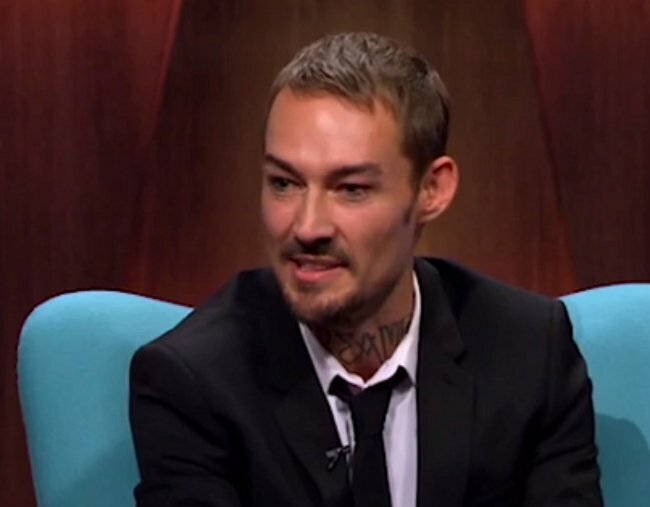 In 2015 many fans were concerned for former Silverchair frontman Daniel Johns. Within a few months the artist had been arrested for drink driving, failed to go ahead with a tour of his album Talk, and was hospitalised after falling outside a Sydney bar. Now, in his first TV interview in more than a decade, the 39-year-old has explained what he was going through during this period of “trouble”. Sitting down with Andrew Denton on his show Interview, Johns told the host how he was struggling with undiagnosed anxiety and was treating it with alcohol. "I wasn&apos;t well. But it wasn&apos;t what people thought it was. I have had a pretty serious anxiety disorder for 15 years," he revealed to the seasoned interviewer. "Um, and it got really bad at a point and I was not coping and I didn&apos;t know how to deal with it... I was just panicked. I was constantly panicked." In October 2014, Johns was caught drink-driving in the Newcastle suburb of Merewether after police had pulled him over for travelling more than 20km/h over the speed limit. In February the following year, he was fined $880 and disqualified from driving for several months. And just a few months later in May 2015 he was taken to a Sydney hospital after falling outside a bar and hitting his head. Then in December 2016, he made headlines for stumbling and falling in a Sydney cafe in the middle of the day. Johns told Denton he has since undergone "therapy" and uses medication to manage his mental illness, but at the time the only way he could treat the "chaos" in his mind was with alcohol. "But I didn&apos;t know what I had, so I didn&apos;t know how to deal with it and the only thing that I found that worked was alcohol. "So I was drinking alcohol to keep that at bay, but it didn&apos;t... it didn&apos;t work. "And then I got diagnosed with this anxiety disorder... and... now I&apos;m a perfect specimen." Johns described his mind as still "bloody chaotic", but told Denton he was "really happy" and had discovered the best way to manage his whirring thoughts. "Nothing really shuts it off. It&apos;s like...it&apos;s all maintenance, sort of keeping things at bay for the most part. Delicately spinning plates." "I gave up a while ago trying to eliminate things in my head, it&apos;s achievable. And so it&apos;s a lot easier to just, you know, keep things at bay before they drive you crazy." Johns also spoke of the "pretty bad" stage fright he continues to suffer and how his outlandish onstage costumes - like a faux fur jacket with tongues and eyeballs stuck on it - helped him combat it. "It helps with confidence in a lot of ways. Um... &apos;Cause I get stage fright and can get really anxious that I just become this ultra-human that can do no wrong, especially fashion-wise." Giving further insight into his mind, Johns explained how rising to fame as the front of Silverchair in the 1990s when he was a teen left his struggling to feel "worthy" of the success he enjoyed. "I feel like I was pretty lucky and I think that has shaped my unrealistic expectations of myself," he told Denton. "Just &apos;cause I&apos;m always trying to prove that maybe I... am worthy of that, to myself." "Um... I mean, that sounds so depressing. It&apos;s not depressing but I think that is a... that&apos;s a thing. I&apos;m always trying to achieve something in my head that will make me feel like I deserve it, or something." And while he conceded that he would only be happy with a "masterpiece" which he might never recognise as one, he was happy working on music with his co-collaborator Luke Steele. In March this year, Johns and the Empire Of The Sun singer released the single No One Defeats Us as part of their duo Dreams.